Comic-Con 2012!!! 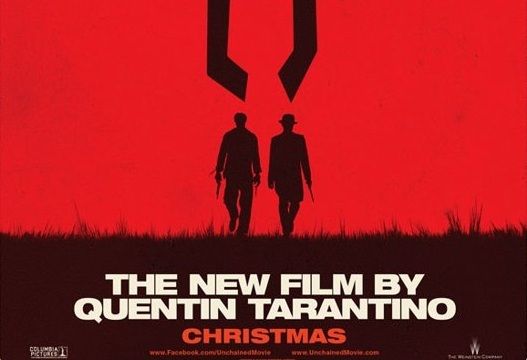 Tarantino Says ‘Django Unchained’ Is a ‘Shaft’ Prequel?!?! There was a ‘Django Unchained’ panel today at Comic-Con where Quentin Tarantino talked about his upcoming film. He said there was a character named Brunhilde von Shaft played by Kerry Washington, which in his mind is an ancestor of John Shaft. That prompted Tarantino to start singing the theme song to ‘Shaft’. Tarantino also said they just finished shooting a few scenes with Jonah Hill (Yes, that Jonah Hill) as a member of the Regulators. The Regulators were sort of the KKK for that period of time. 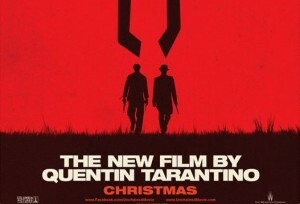 Tarantino said that they were the funniest scenes he has ever filmed. The panel consisted of Tarantino, Walton Goggins, Don Johnson, Christopher Waltz, Kerry Washington, and Jamie Foxx. There was no Leo. I think this movie is going to be epic. And from the footage we have seen from it, I think it’s going to be a lot like ‘Kill Bill’. But how cool would it be if this was a pre-cursor to Tarantino doing a Shaft movie with Sam Jackson. More Dallas Comic Con 2014 Coverage – The Costumes!! Comic-Con 2012!! Cosplay!! See All the Costumes!! Comic-Con 2012!! Marvel Unveils ‘Thor’, ‘Captain America’ Sequels, Plus ‘Guardians of the Galaxy’!!! This entry was posted on Saturday, July 14th, 2012 at 7:19 pm	and is filed under Events, Film, News. You can follow any responses to this entry through the RSS 2.0 feed. You can skip to the end and leave a response. Pinging is currently not allowed. « Comic-Con 2012!! Meet the New Characters for Season 3 of HBO’s ‘Game of Thrones’!!! [pulls out sword and threatens Will] Can't let you do that, William. 'Cause if Jones is dead, who's to call his terrible beastie off the hunt, eh? Now, if you please. The key. [Pulls his sword on Jack] I keep the promises I make, Jack. I intend to free my father. I hope you're here to see it. [Norrington draws his sword, points it at Will] I can't let you do that, either. So sorry. [to Norrington] I knew you'd warm up to me eventually. [Norrington points his sword at Jack] Lord Beckett desires the contents of that chest. I deliver it, I get my life back. Ah. The dark side of ambition. Oh, I prefer to see it as the promise of redemption.